The guys behind the Drunken Zombie Film Festival are happy to announce that we are currently accepting submissions for our film festival taking place on November 4th and 5th at the Peoria Theater in Peoria, IL. 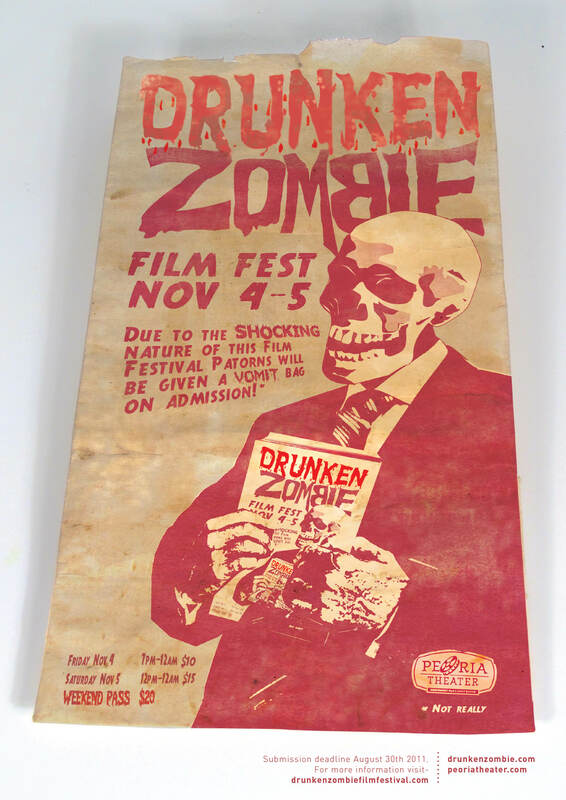 This is the Fourth Annual Drunken Zombie Film Festival and it just keeps getting bigger ever year. In the past we’ve had the pleasure of hosting world premieres for movies like Zombie Apocalypse, Outpost Doom, and Night Of The Bongface II. In addition to that we’ve been very happy to show Night Of The Living Dead: Reanimated, the Stephen King adaptation Everything’s Eventual, the chilling documentary Feast Of The Assumption: the BTK Killer and the Otero Family Murders, and loads of awesome short films such as the Adrienne Barbeau starring Alice Jacobs Is Dead. Every year we try to showcase some of the best low/no budget horror feature films that our audience may have not seen outside of our festival. Luckily many of our screened films end up going on to gain distribution and are seen by people all over the world. 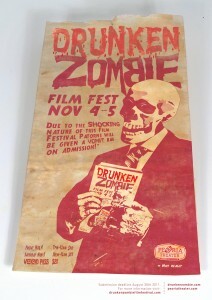 So if you have a horror film/short/documentary/music video that you’d like to get the word out about please feel free to stop by our website at www.drunkenzombiefilmfestival.com and look at how to submit to our film festival. The thing that makes us stand out is that we don’t charge an entry fee. Our goal isn’t to make money off this film festival but to spread the word about independent horror films. You shouldn’t have to pay someone to just go on to hope your film made the cut. We’re all about giving filmmakers a place to showcase their work not to make a huge profit before the film festival even starts. We’re hoping you will join us in making this year our biggest year yet. We have many surprises we’re starting to plan out already and we can’t wait to share it with everyone. Attached is our film festival poster for this year that hasn’t been publically released yet so you get to be one of the first people to see it! Submissions are open until August 31st. Drunken Zombie is a horror podcast and website based out of Peoria, IL. We are in our fourth year of doing the podcast and actually just won a Splatcademy Awards for Best Horror Podcast from www.deadlantern.com in their yearly awards show. This is actually the second time we have won in this category. We started this film festival after we started to receive independent horror films from filmmakers to review on our show. We saw how much talent was out there that most horror fans didn’t even know about. We decided to show horror fans these films rather than just tell them about it. Peoria Theater is an independent theater located in Peoria, IL that offers a unique film going experience. They have a full bar with usual concession items like popcorn and nachos. They specialize in showing independent films that otherwise would not be coming to the Peoria area. Drunken Zombie also hosts a monthly Horror Double Feature at the theater which showcases one independent horror film and one classic horror film.